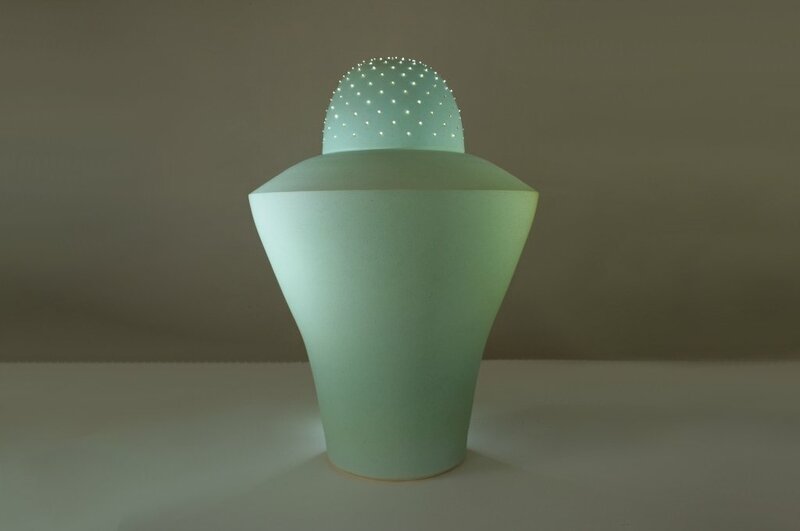 This collection of ceramic works entitled ’vol_Luminous’ comprises 17 wheel-thrown closed sculptural forms. 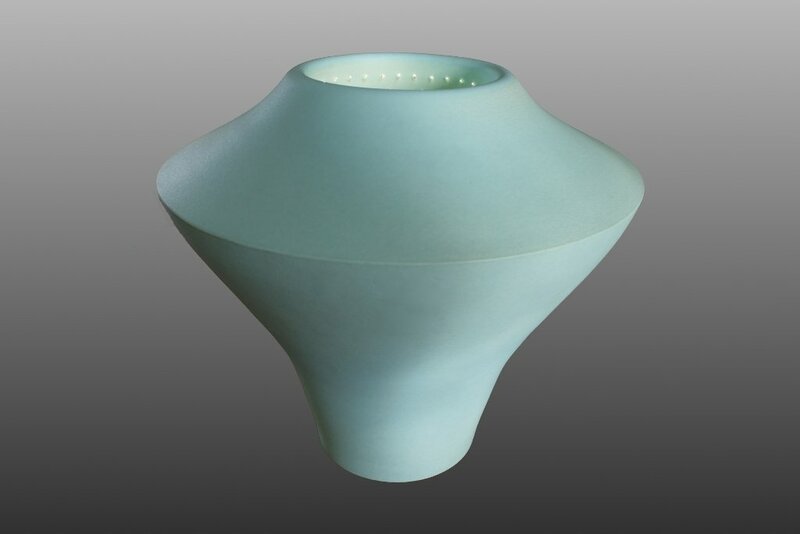 All pieces are white stoneware clay fired to either 1280 degrees in reduction or to 1200 degrees in oxidation. 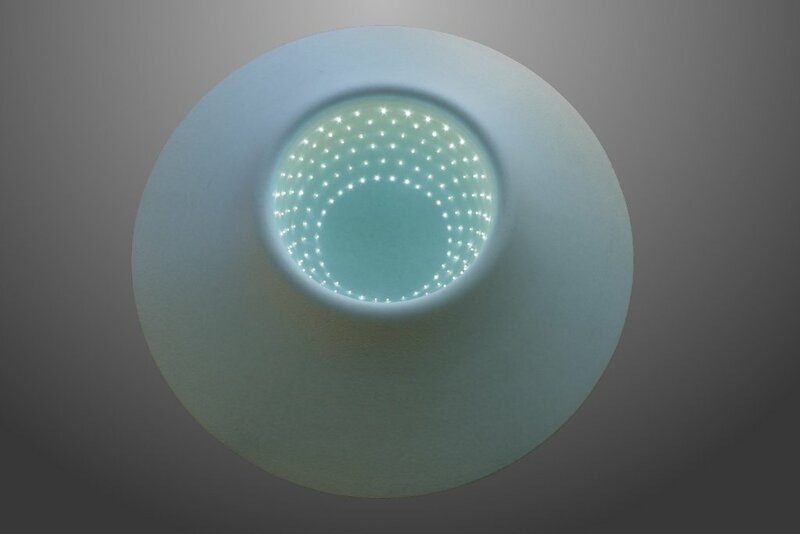 They are finished with an original range of satin matt glazes. 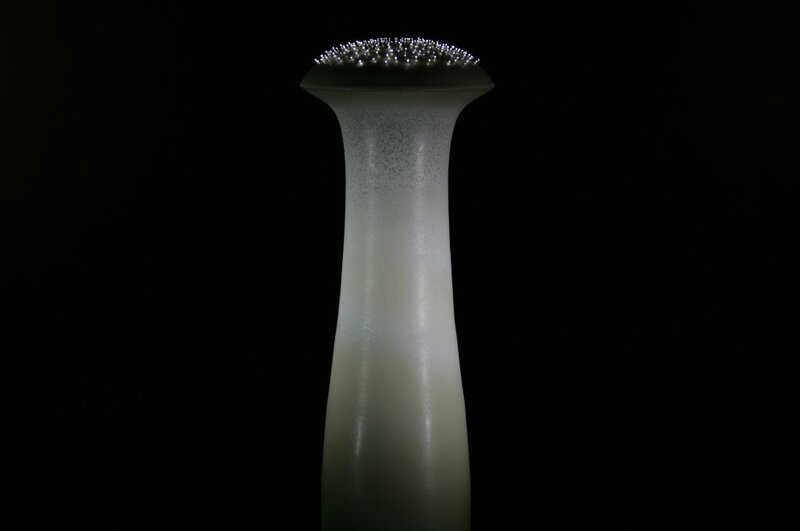 The tallest piece, Mekbuda, is just over 1 metre tall. 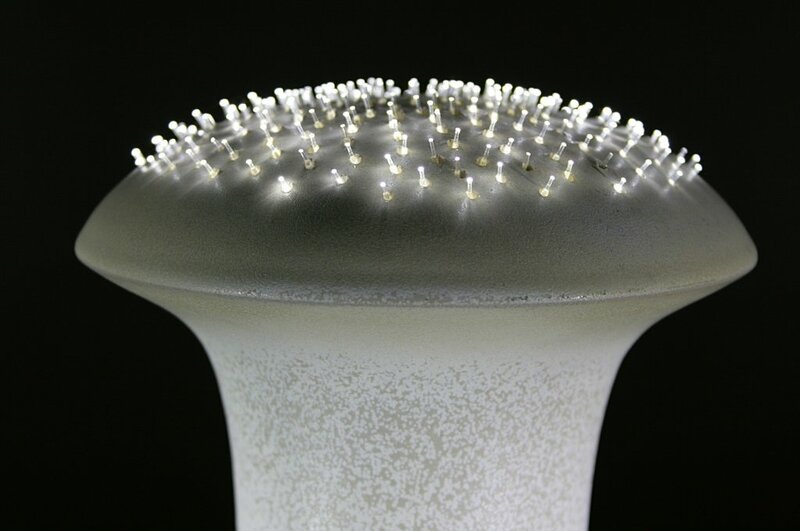 Most pieces contain several hundred fibre optic cables (Aldebaran, centre-back above contains a single side-lit fibre optic cable) illuminated with LEDs to create patterns of light across parts of the surfaces of the works. 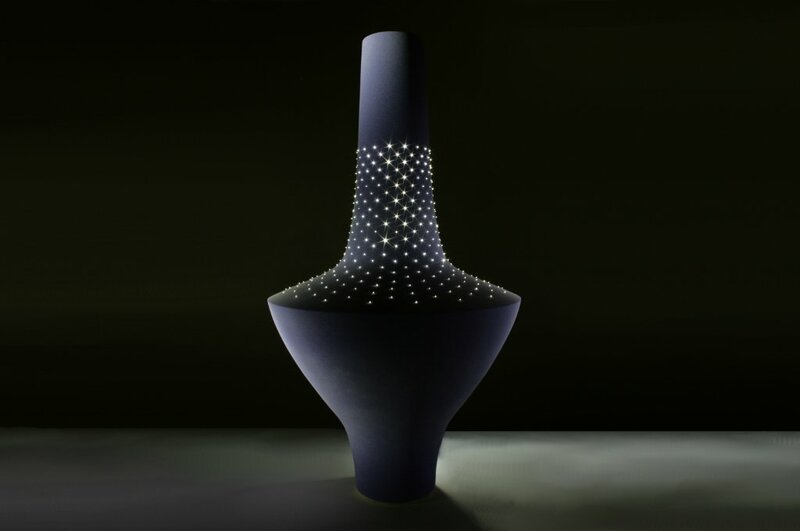 The collection is, in part, inspired by modern architectural forms and features and by organic forms, particularly those of succulent plants: holes in the surfaces of the pieces form patterns reminiscent of iterative growth patterns. 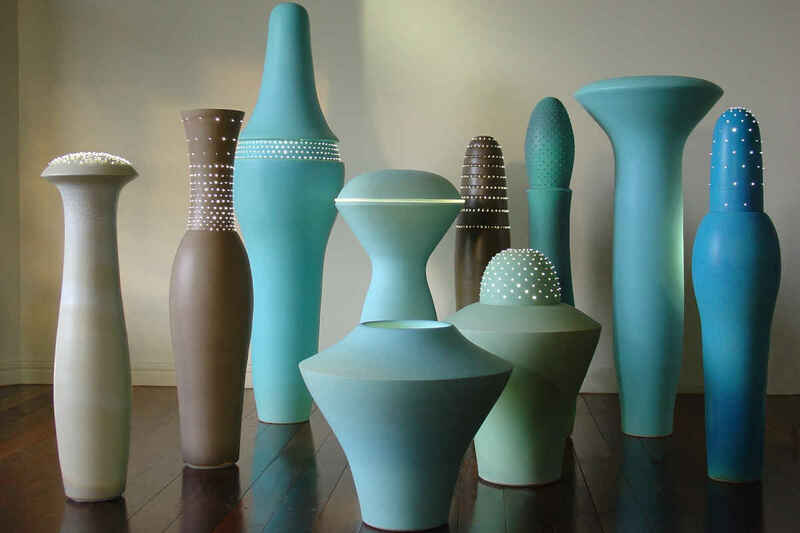 As winner of the award of merit from the Design Institute of Australia in the Queensland Design Awards, a selection of the contemporary ceramics illustrated here was exhibited in 'Design Excellence in Queensland' at the Queensland Art Gallery, Brisbane in June 2006. 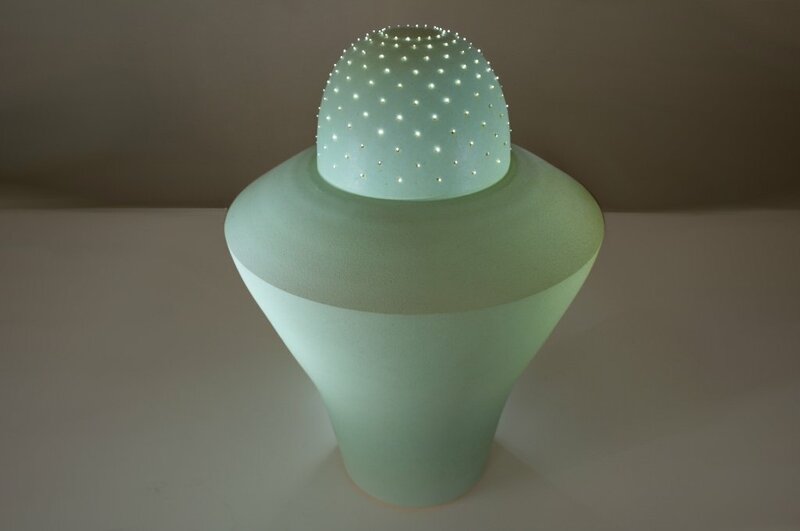 The International Magazine of Ceramic Art and Craft, Ceramic Review (link opens in a new window), features vol_Luminous in the May/June 2008 edition. For details of how these pieces were constructed see the construction page.